The property occupies a prominent town centre location fronting the A217 adjoining the Bell Street surface car park and entrance to Morrisons Superstore car park. The multi storey car park in Bancroft Road is nearby, as are popular restaurants Cote, Wagamamas and Bills. Reigate town centre has an attractive mix of shops with both national and independent retailers and the nearby Priory Park for lunchtime walks. Access onto the M25 at the top of Reigate Hill (junction 8) is about two miles and Gatwick Airport is seven miles to the south. 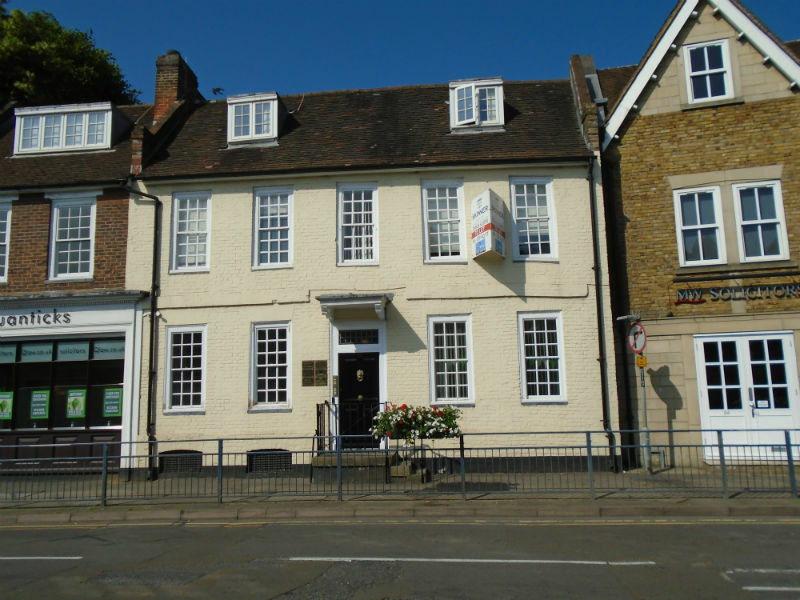 Skinner House is an attractive Grade II listed building comprising office accommodation which has been comprehensively refurbished over three floors. Amenities include gas central heating, comfort cooling, double glazing, carpeting and male and female WCs. The main available suite, office 6 on the first floor, is an open plan office incorporating a kitchenette. Also available are office 2, an attractive groundfloor panelled board room of about 192 sq ft (17.84m2) off the main carpeted entrance, and office 8 which is a room of about 98 sq ft (9.10m2) on the second floor. The UBR for 2018/2019 is 49.3 p in the £ (48p for smaller businesses) and actual rates payable can be confirmed by contacting the business rates department of Reigate & Banstead Borough Council on 01737 276691. The energy performance rating is D92. There will be a service charge of £5 per sq ft and sinking contribution of £1,400 p.a. for Suite 6 and of £500 p.a. for Rooms 2 & 8. VAT will be payable on rent and service charges. Each side is to be responsible for its own legal costs. © 2019 Crow Watkin. All Rights Reserved. Coller Theme by Rohit.